Visiting Barrow is an experience that is sure to provide you with lifetime memories and if you have been in the area for a few days, you might want to take a quick road trip out to explore the city’s surrounding sites. Here are a few suggestions that might make for an interesting day out during your trip. One must-see site in Point Barrow is the World’s Northernmost Totem Pole. It has cultural carvings running up from the base of it and is topped by a toilet bowl commemorating the first toilet flush to occur in this part of Alaska. It is located at a US Air Force facility in the area and is therefore difficult to get close to, although those with a good camera may get a worthwhile photo opp. Another interesting fact is that while it may look like an authentic cultural artifact, it was actually painted by members of the Navy who lived and worked at the base. Located about nine miles from town, this is where the Chukchi and Beaufort seas meet. Not only does it provide a scenic view, it is steeped in historic significance. It has been the jumping-off point of many Arctic Expeditions. Iced over for all but 2-3 months a year, it was infamous for being a difficult location for early explorers to reach. Once America’s northernmost village, Nuvuk was located at the tip of Point Barrow. Although it served as a settlement for the Inupiat Indians, the village has long since been deserted as locals were forced to move to the village due to erosion at the site. Although archaeologists had once deemed the site as having nothing of interest left historically regarding its remains, recently bones and other artifacts have turned up creating new interest in the area that hint at new evidence of occupation that dates back to ancient times. 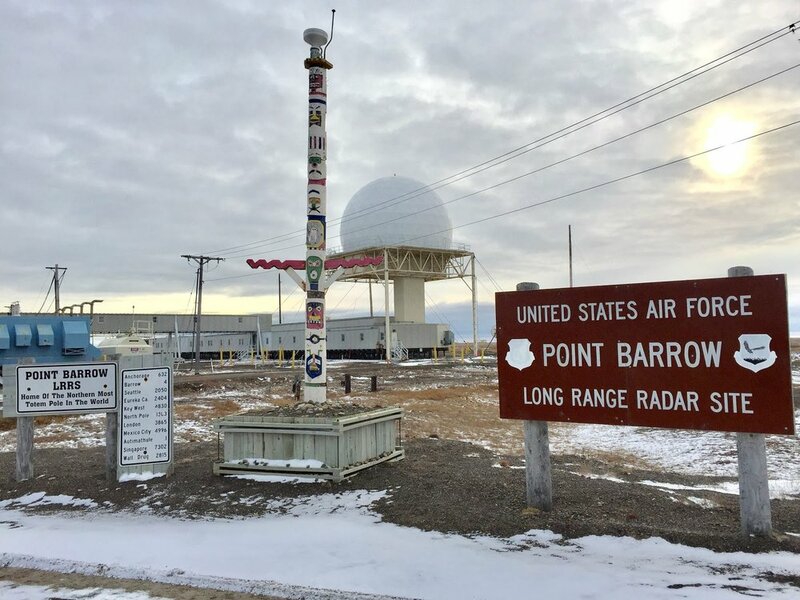 Located just a few miles southwest of Barrow, this location was used as a launch site for Nike-Cajun and Nike Apache sounding rockets between 1965 and 1972. Today it is the site of a Global Atmosphere Watch atmospheric monitoring station. There are also summer cabins in the area that are constructed by the locals and used for subsistence hunting and fishing. This is an archaeological site near Barrow. It includes sixteen prehistoric mounds which represent dwelling sites of the past and have yielded evidence of early Birnirk and Thule culture. It was designated as a National Historic Landmark in 1962 for its importance in the understanding of prehistoric Arctic cultures. Barrow is a unique location that offers its share of things to see and do. When you feel like doing a bit of exploring, these are all great sites worthy of a quick ride out of town. Steeped in culture, Barrow and its surrounding areas will give you an experience that you will always remember. We help you look your best. Branding, graphic design, web development, videography, and photography. CS is here to help you create beautiful visuals that connect with your brand and speak to your customers.